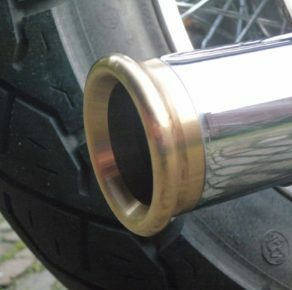 Brass exhaust tip 2 1/4"
Single cable throttle clamp 1"
Fits 55-up H-D rear fenders (excl. 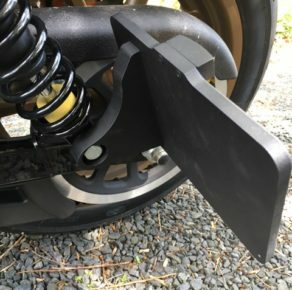 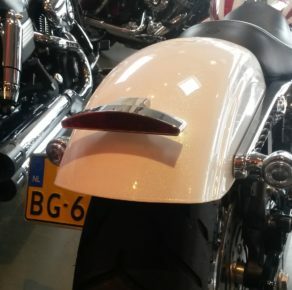 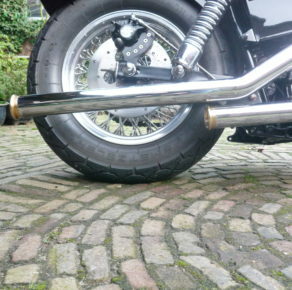 FXST, FXWG and FXDWG with ducktail fenders). 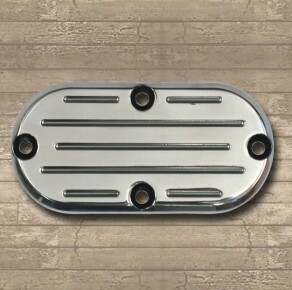 Polished aluminium custom oil cooler. 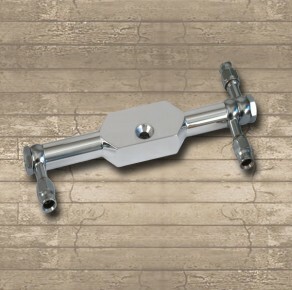 Can be mounted vertically to the front frame tube. 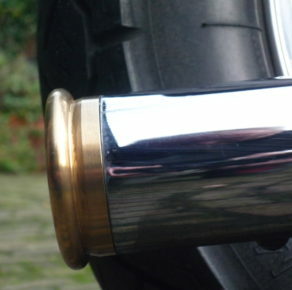 Length 25cm. 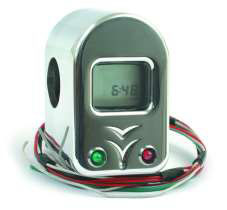 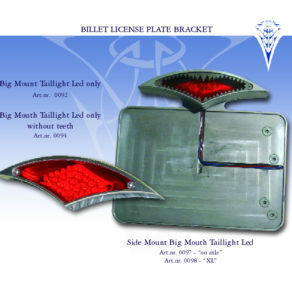 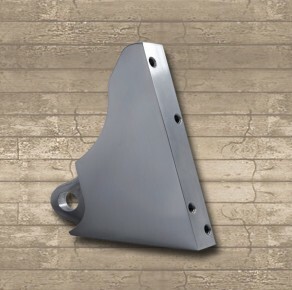 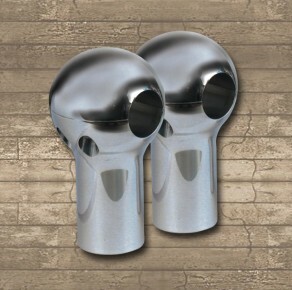 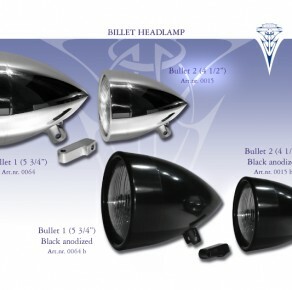 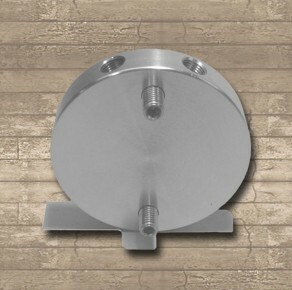 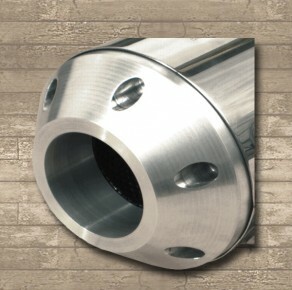 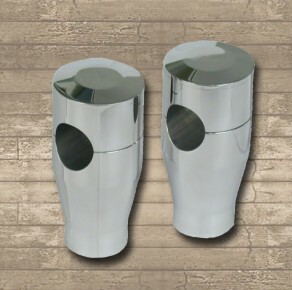 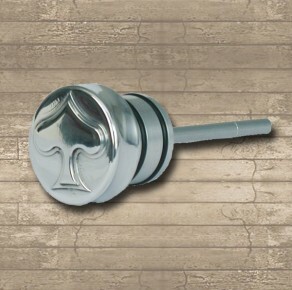 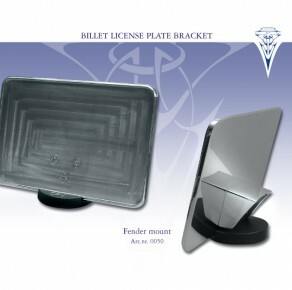 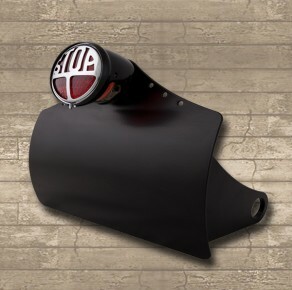 Billet aluminium horn 100 DB 12 Volt.Horn measures 5” long x 4” wide x 1,5” high. 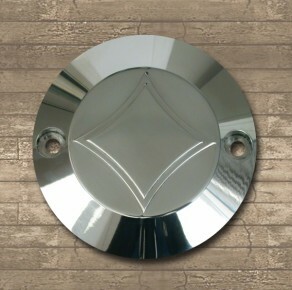 Available in highly polished. 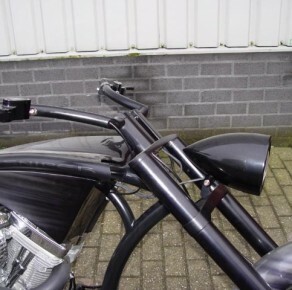 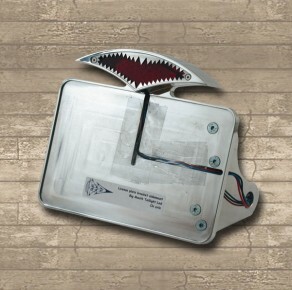 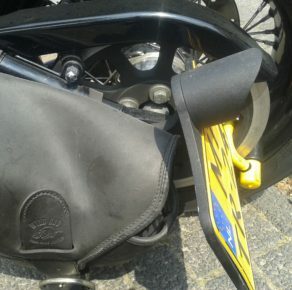 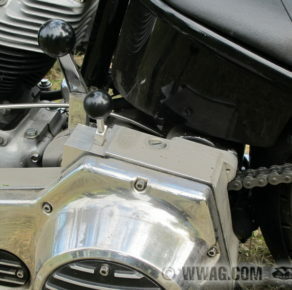 Replaces the stock frame cups and features an invisible forkstop. 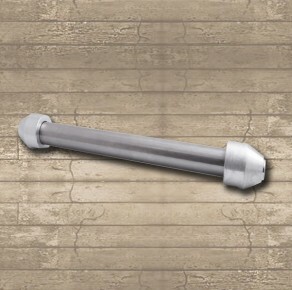 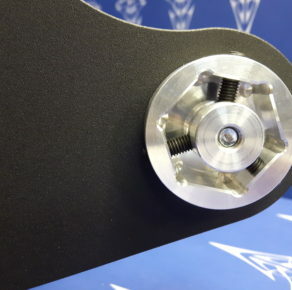 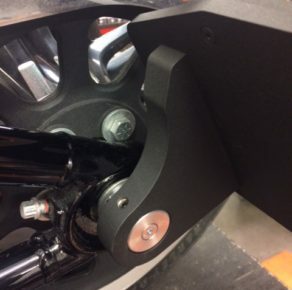 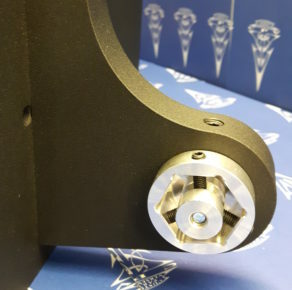 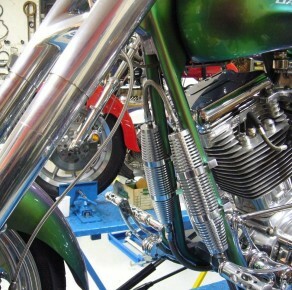 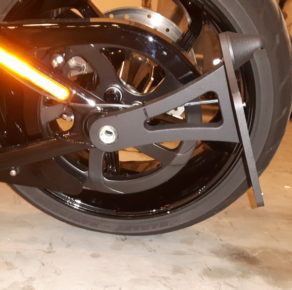 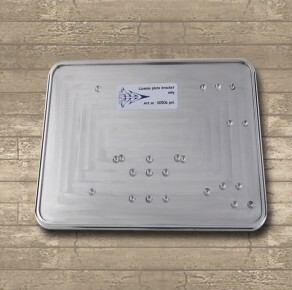 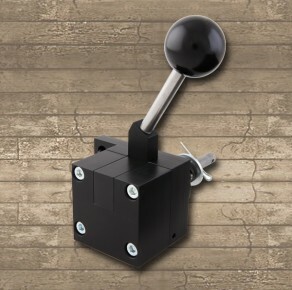 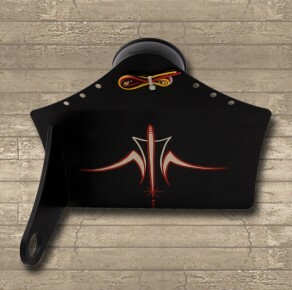 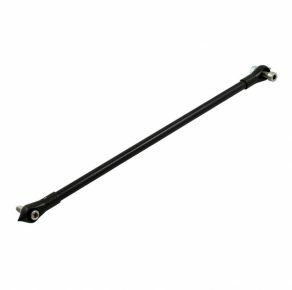 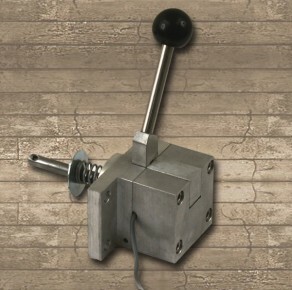 You can set it up to have a 64 degree or 84 degree overall turn angle for you fork. 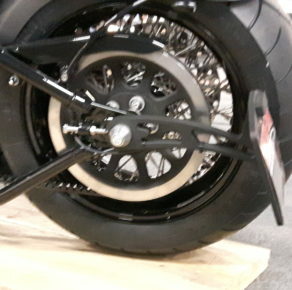 The whole front fork, including the triple trees is raked 3 degrees. 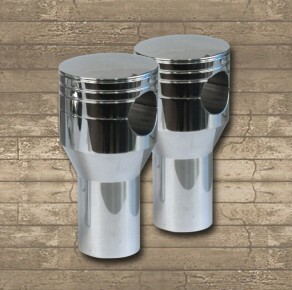 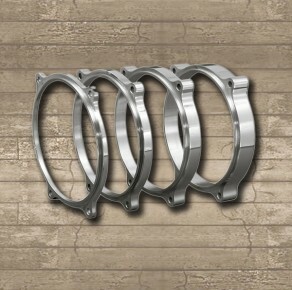 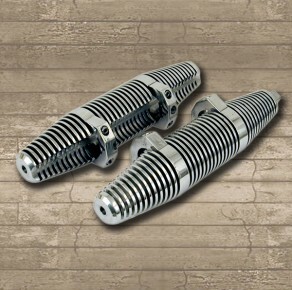 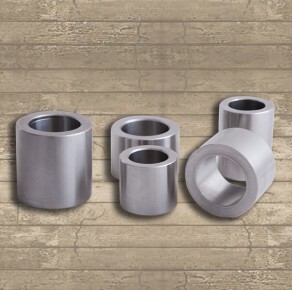 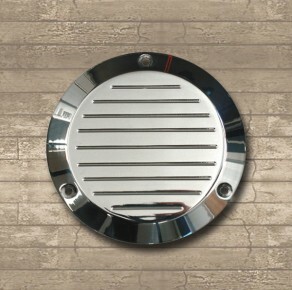 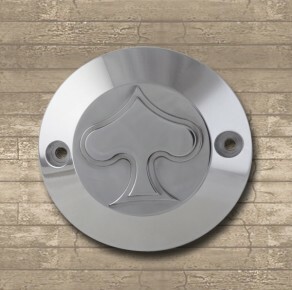 Made from solid billet aluminium. 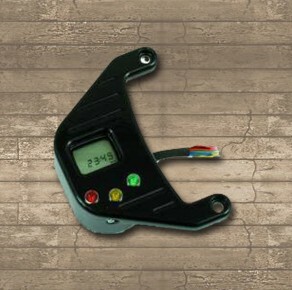 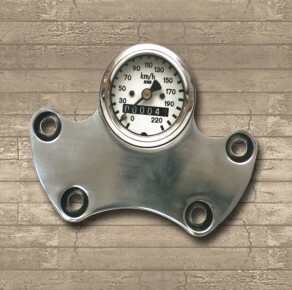 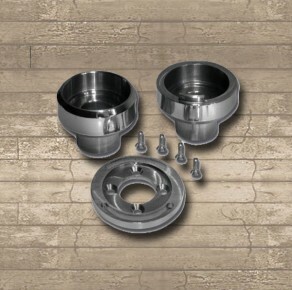 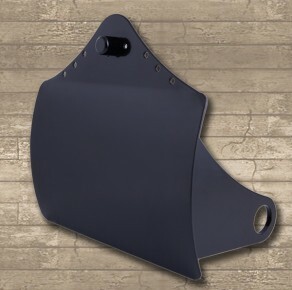 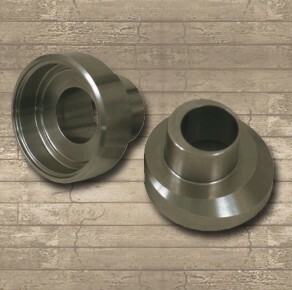 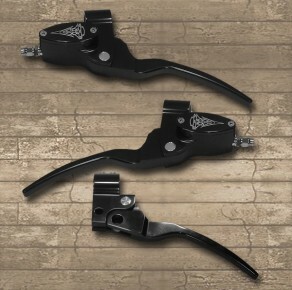 Can be used for both single- and dual disc brake kits. 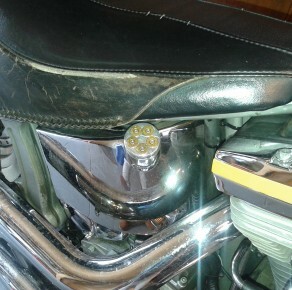 Fits one inch diameter handlebars, between the risers. 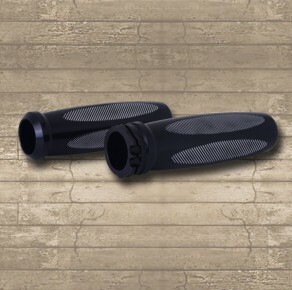 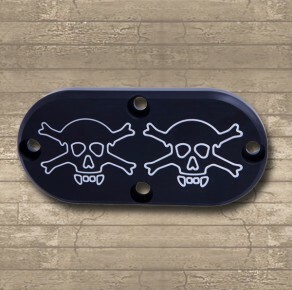 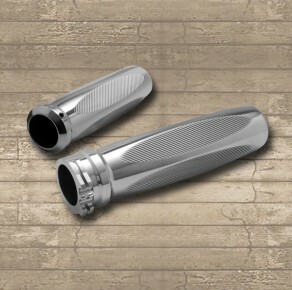 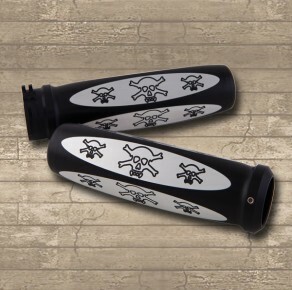 CPV Skull handlebar grip set 1"
Fits 1" handlebar, 74-up HD models with dual or single cable. 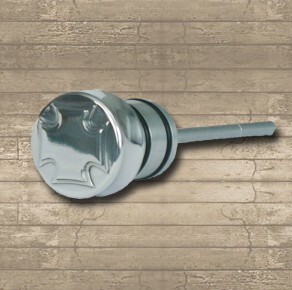 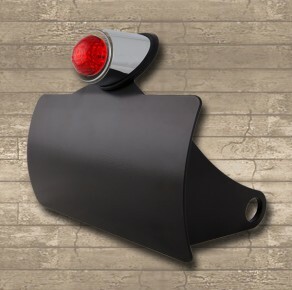 CPV Ribbed handlebar grip set 1"
This small bracket with taillight is used for fender mounting and is pre-wired for brake and taillight use and also has a provision for license plate lighting. 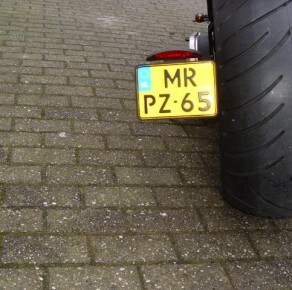 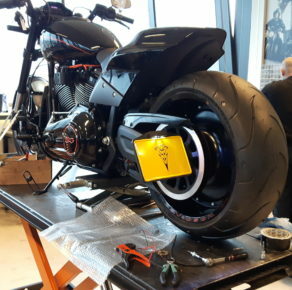 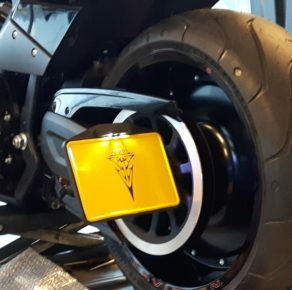 Special for custom bikes. 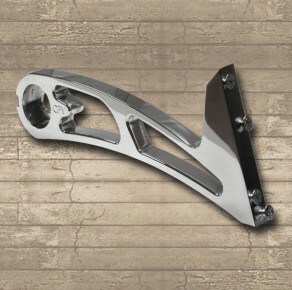 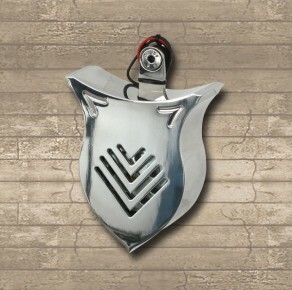 Bracket is highly polished. 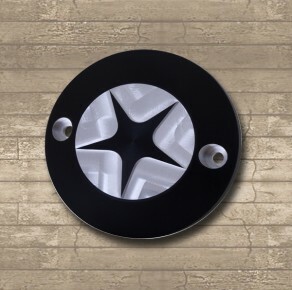 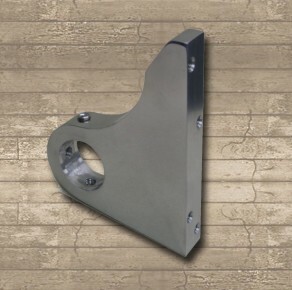 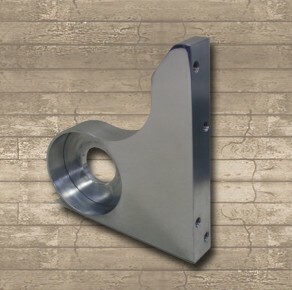 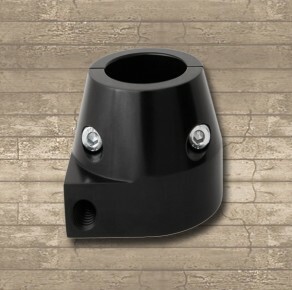 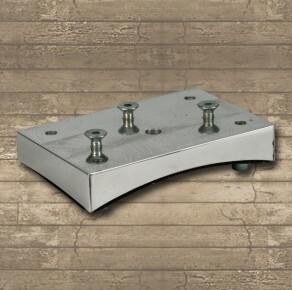 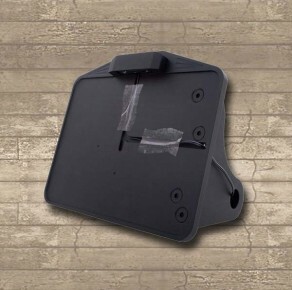 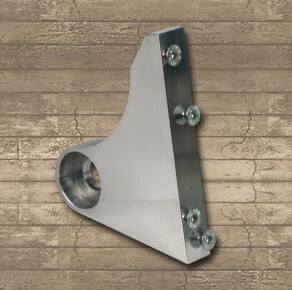 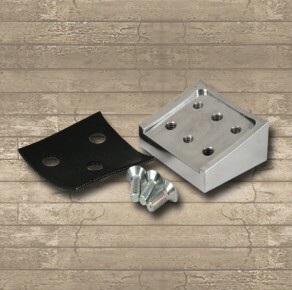 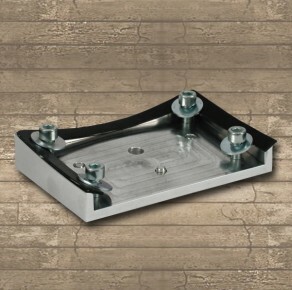 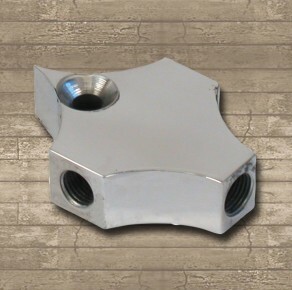 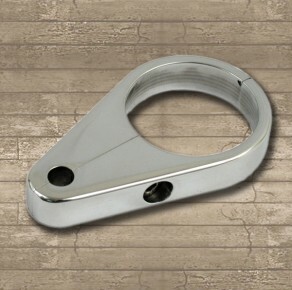 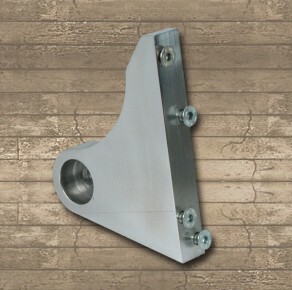 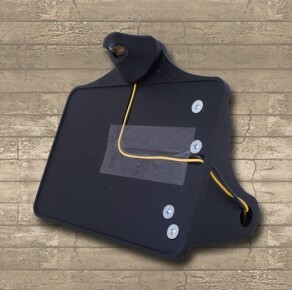 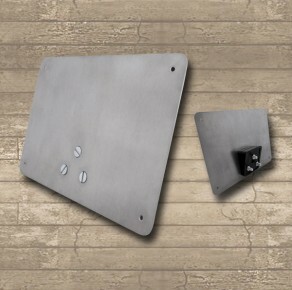 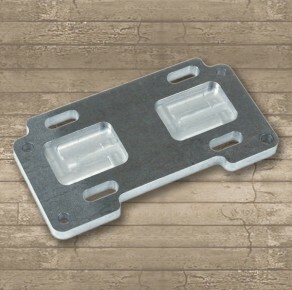 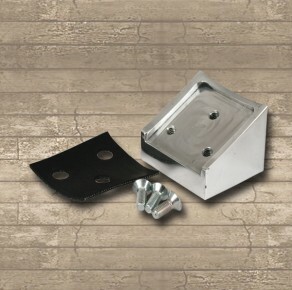 The bracket can be mounted with 2 bolts. 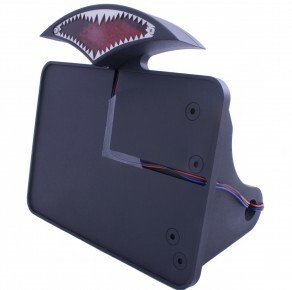 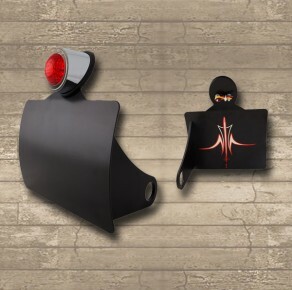 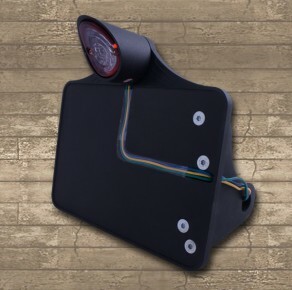 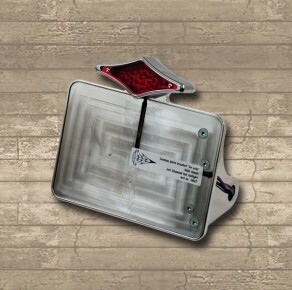 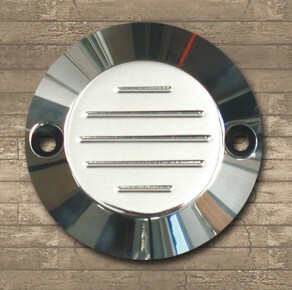 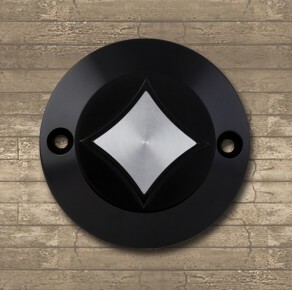 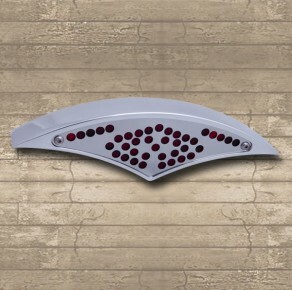 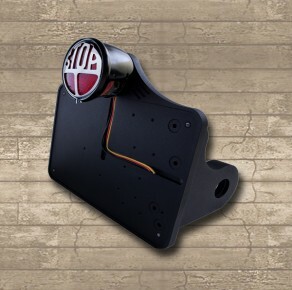 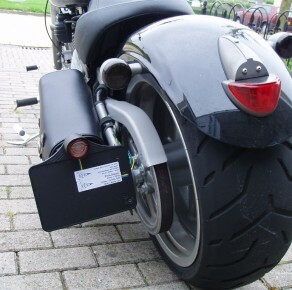 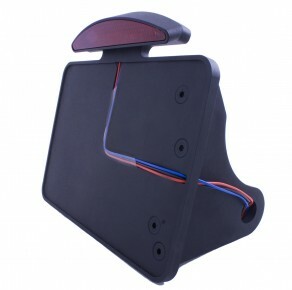 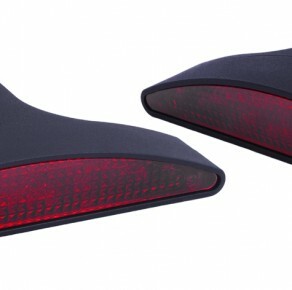 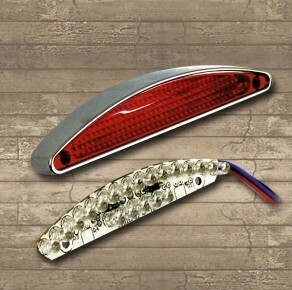 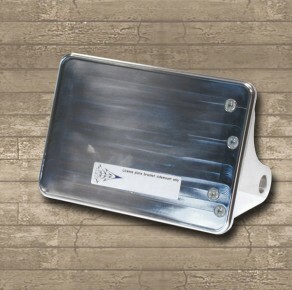 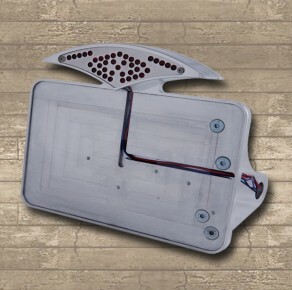 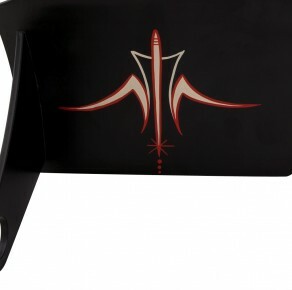 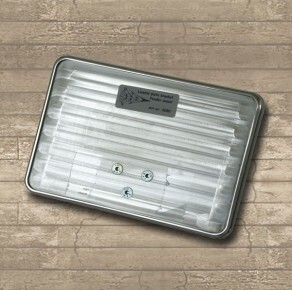 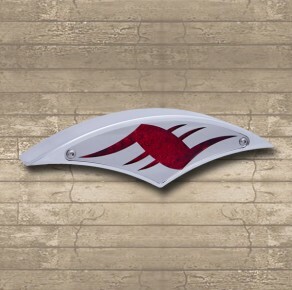 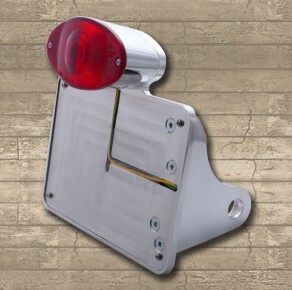 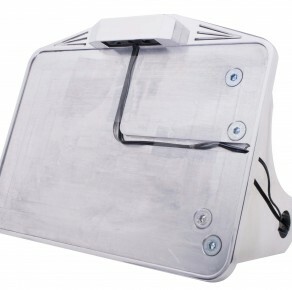 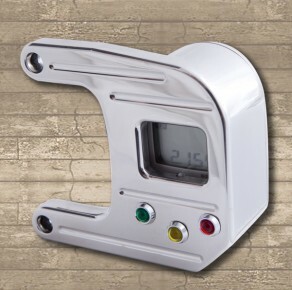 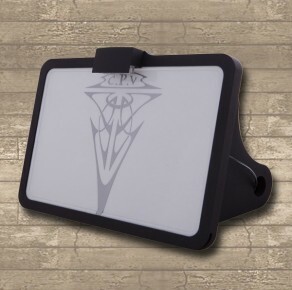 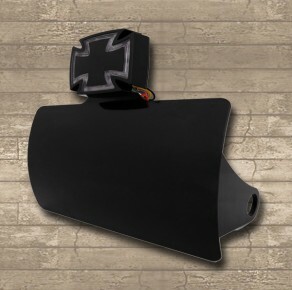 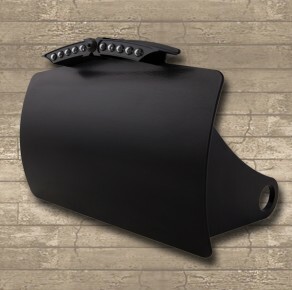 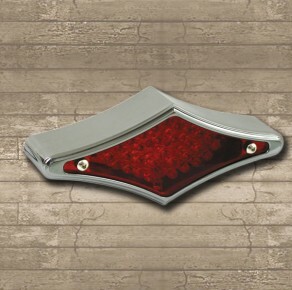 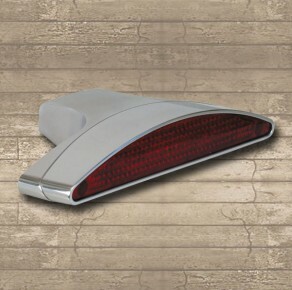 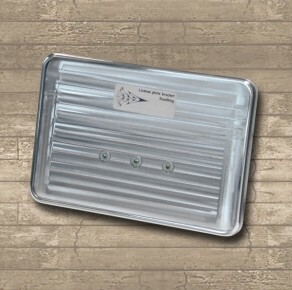 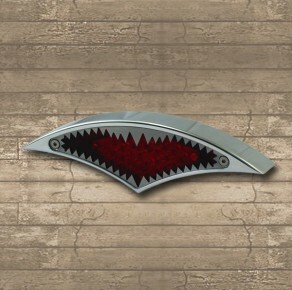 The custom tailight led measures 5 3/4" (147mm) wide and just 1"(25mm) high. 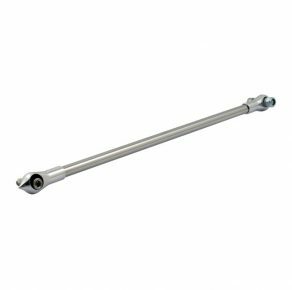 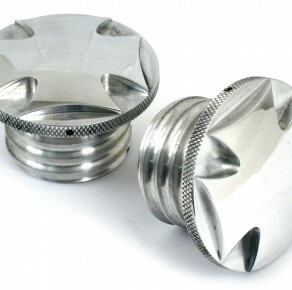 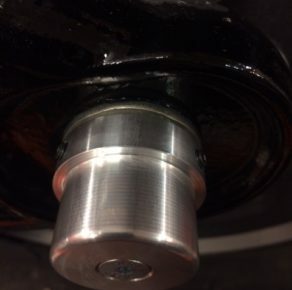 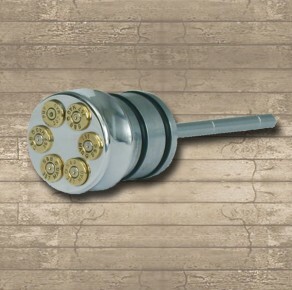 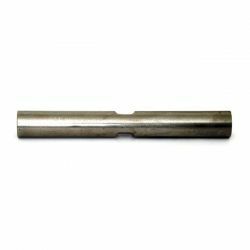 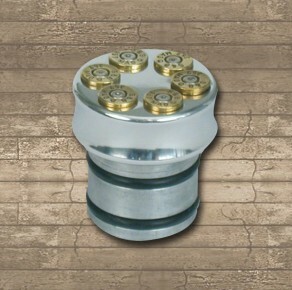 Custom rear brake tees included npt 3/8" UNF for your brake light switch. 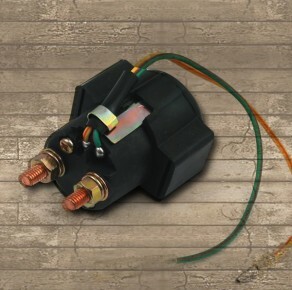 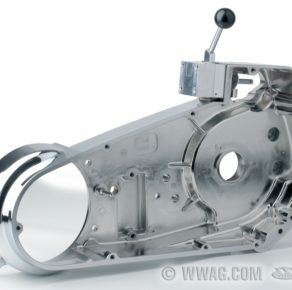 Primary mounted "pull start" system for 65-86 4-speed BT models. 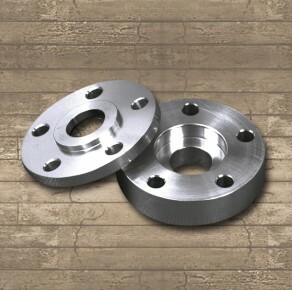 Sprocket & pulley spacer 1/4"
Sprocket & pulley spacer 5/16"
Sprocket & pulley spacer 3/8"
Sprocket & pulley spacer 1/2"
Sprocket & pulley spacer 3/4"
Sprocket & pulley spacer 7/8"
Sprocket & pulley spacer 1"
CPV Handlebar control kit 5/8"
This smooth kit is CNC machined and comes complete with handlebar master cylinder, clutch lever assembly and push button switches. 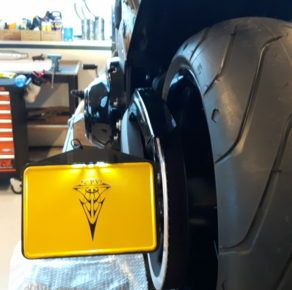 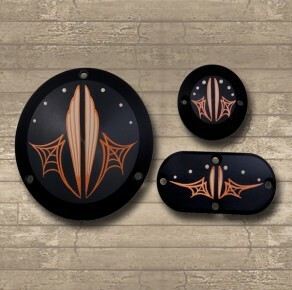 This kit will do very well on many custom bikes. 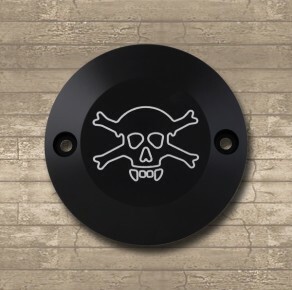 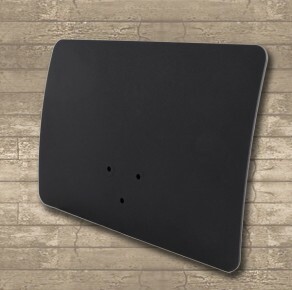 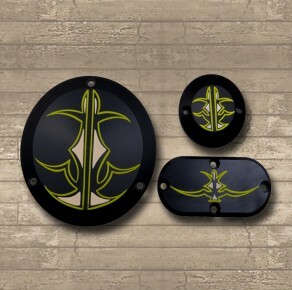 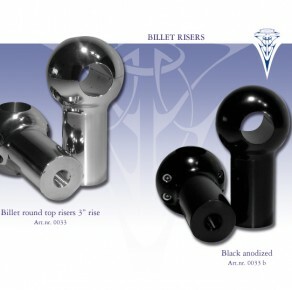 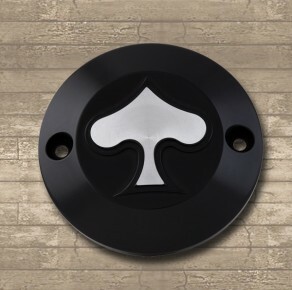 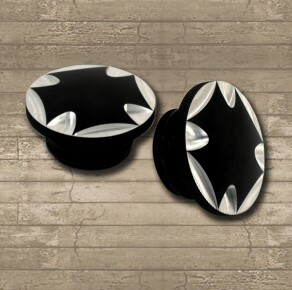 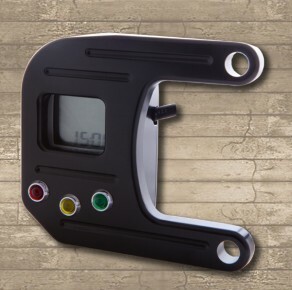 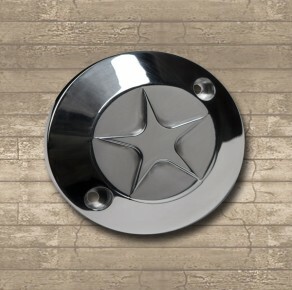 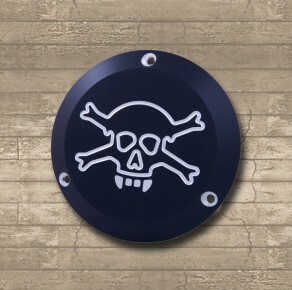 Available in hightly polished and black anodized. 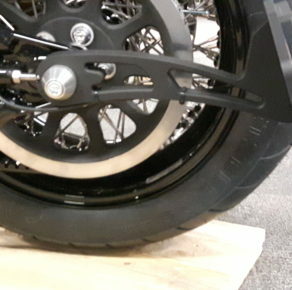 Smooth styling due to the bottom mount system. 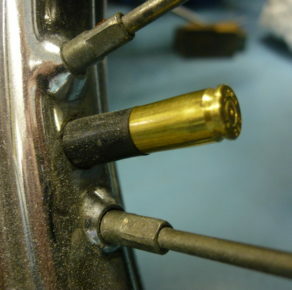 Including bolts. 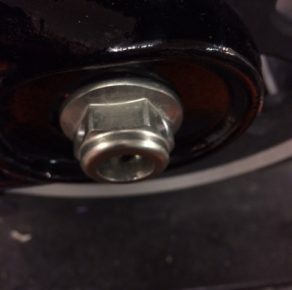 Billet risers without visible clamp bolts. 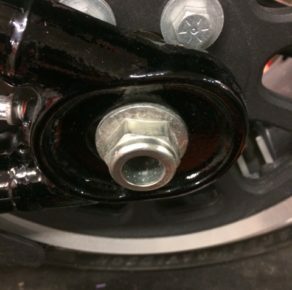 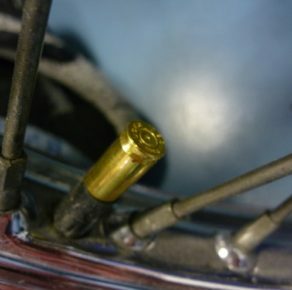 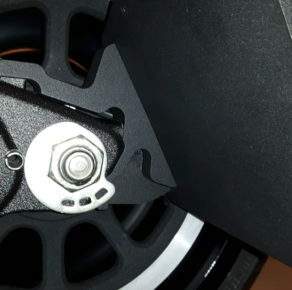  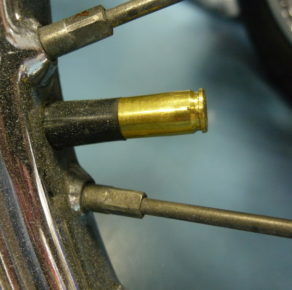 Top can be unscrewed for acces to the hidden riserclamp bolt. 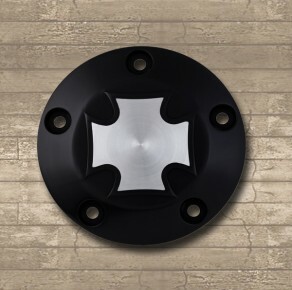 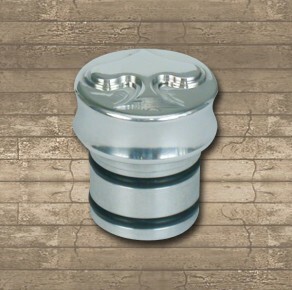 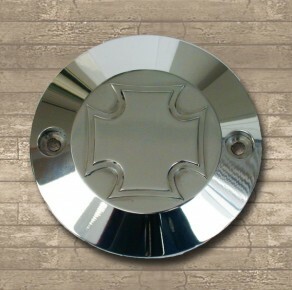 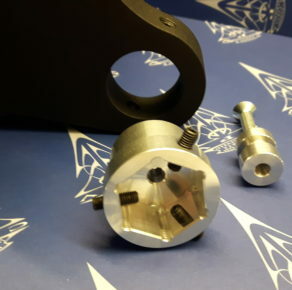 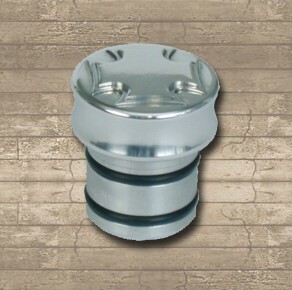 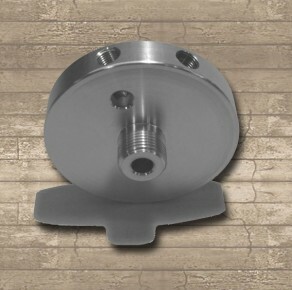 This CNC machined screw-on type rim is the ultimate headlight without bolts or rivets for any custom builder. 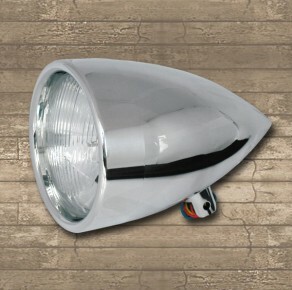 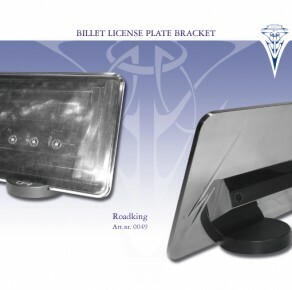 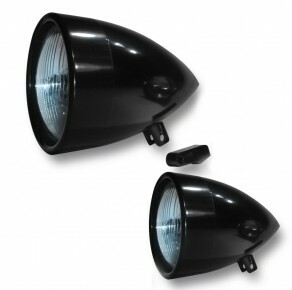 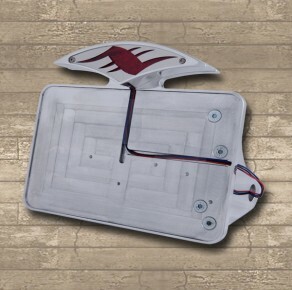 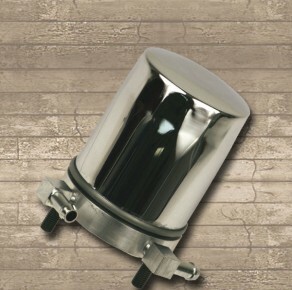 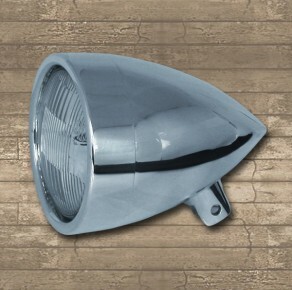 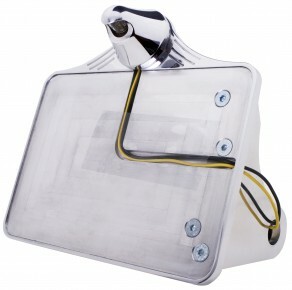 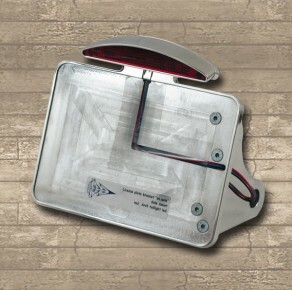 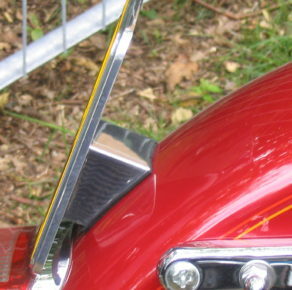 The smooth billet headlight is complete with a bottom mounting block, pre-wired and clear lens, E-mark, 12V H4 60/55W. 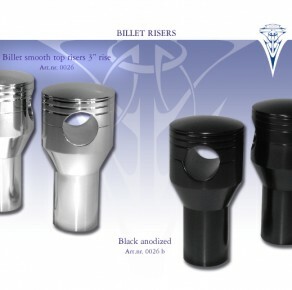 Available in highly polished and black anodized. 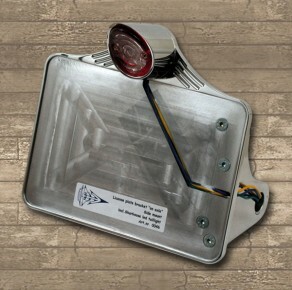 This beautiful CNC machined billet headlight comes with a bottom mounting block, screw-on type rim and a clear lens, E-mark, 12V H3 55W. 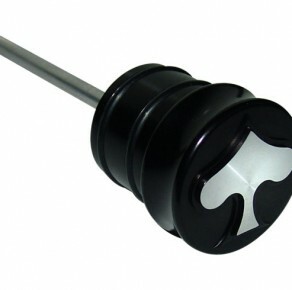 Available in highly polished and black anodized.